There are some books we publish which, from the outset, you know are going to be special. 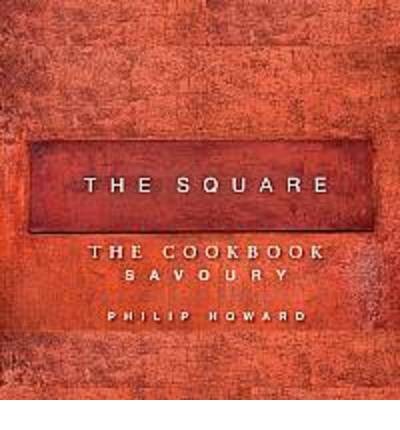 This was true of the first book from Philip Howard: a collection of recipes from his restaurant, The Square. We knew we wouldn't be able do the recipes justice in one volume, so it became two - a first volume, The Square: The Cookbook Volume 1: Savoury, followed by The Square: The Cookbook Volume 2: Sweet (due in June 2013). We knew we couldn't limit it to the conventional two pages per recipe and food photo, so they each became either 4 or 6 pages. We knew we couldn't illustrate anything less than every one of those recipes, so one of the world's finest food photographers, Jean Cazals, did just that. And yet these measures, which bring this colossal first volume of Philip Howard's recipes in at 528 pages, are only a small part of why this book is so special. It is special because it represents a collection of recipes from 21 years of one of the country's finest and most consistently fine restaurants. Special because the chef who has been at the helm of that restaurant for all of those years is recognised as one of the very best of his generation. But most of all, it is special because that chef has that rare ability to translate a genius in the restaurant kitchen into the words of a book. This was evident from the day we received the first written recipe, and, with it, Phil's fiercely intelligent vision for how the book - and every recipe within it - should be structured. It is also manifest in the dozen or so essays that weave throughout, that show a profound consideration and passion for every aspect of his craft and industry. The Square: The Cookbook Volume 1: Savoury is a landmark publication and a must-have book for every chef and for every serious foodie without question. Yet it will not also fail to impress and inspire anyone with a desire for cooking and a thirst for food knowledge. It will be recognised as nothing less than an incredible achievement and a book of truly unbounded culinary ambition.